Jessica Pratt Hasn't Changed on 'Quiet Signs,' and Why Should She? 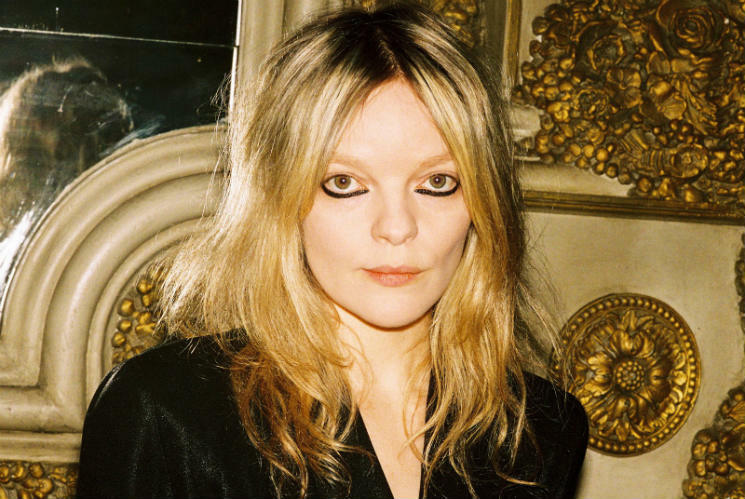 On her new album Quiet Signs, it seems that Jessica Pratt has found inspiration by entering her "Jessica Pratt" phase. She's not incorporating elements of electronic music, or brash pop sounds, or R&B; she's doubling down on the quiet, pensive folk that made her sophomore LP, 2015's On Your Own Love Again, so celebrated. "I don't think that a quietness or a subtle nature is directly opposed to a catchy thing, it's just that they don't often go hand in hand," Pratt asserts in an Exclaim! interview. "I want things to sound interesting and memorable, but the way that emerges is sort of a mutated thing, like weird touches that sort of blend in to my influences. "I think music that I like the most has pretty much traditional song structures, like pop music from the last 50 years," she confesses. That's not to say that nothing's changed, though. In the four years since On Your Own Love Again, the California folkie abandoned her home studio (where she recorded her first two LPs) for Gary's Electric in Brooklyn, bringing in producer Al Carlson (Autre Ne Veut, Oneohtrix Point Never and Tim Hecker) to add a rich tapestry of instrumentation to help her lay out the tracks for her new LP. The change of process only solidified Pratt's inimitable style of songwriting, though, as Quiet Signs comes off more focused, exploratory and like an all-around better version of herself. Pratt says she used the studio to strengthen her craft. "It allowed me to toy with some of the more subtler sounds, like my voice. I really utilised quiet sounds quite a lot on this record, so I guess it's sort of a dominant feature of the music I've been making and thinking about most recently." Throughout just nine songs, Quiet Signs manages to incorporate a wealth of ideas and moods into and a mere 29 minutes. "I play until it feels natural to stop, until a song feels like it's reached its natural end," says Pratt. "I'm a big fan of brevity. If you don't have anything more to say why draw it out further than it needs to be?" But what makes Quiet Signs truly remarkable is Pratt's newfound penchant for writing undeniably catchy hooks, as tracks like "As the World Turns," "Fare Thee Well" and single "This Time Around" contain big brash choruses that Jessica effortlessly weaves into her beds of muted guitar, easy synth-lines and Carlson's perfectly-pitched woodwinds. With her third album, Pratt has managed to create a piece of work that feels familiar to fans but never comfortable, as the young musician almost seems incapable of sounding calculated. "I have lots of thoughts on songwriting, I have lots of thoughts on songs by other people I love, but times where I tried to go into songs with a premeditated idea, it doesn't work," says Pratt. "It lacks the organic magic that I think is really necessary for good material. You start to recognise certain modes that you get into or habits that you have and you try to break those. But overall, it's a pretty intuitive process for sure." Quiet Signs is out February 8 on Mexican Summer.